Home/Galleries/Responsible Campers Association Inc (RCAi) have been active in the Responsible Freedom Camping arena for nearly 2 years. We have both surveyed Territorial Authorities and asked for feed back on many Responsible Freedom Camping. Rather then just sit on this information we sought solutions to the many problems that were identified and to that end spoke to many Councils, members of RCAi, and many others in order to seek simple solutions. Any person can hold themselves out to be an issuing authority under NZS;5465(Self Containment certification for Motor caravans). In recent years we have seen a large increase in persons, businesses and organizations holding them selves out as Issuing Authorities. There is no overseeing governing body. The effect of this is a system which has now become a total shambles. Onus on the mode of camping. It has long been considered by many Responsible Campers that placing the onus on the mode of camping rather than the people doing the camping is misplaced as you can not fine the mode of camping, neither can you educate it into Responsible Camping principals. Because someone uses a Self Contained camper that meets the requirements of NZS;5465, that in itself does not make them a Responsible Freedom Camper. Indeed there are many known instances where Certified Self Contained Campers have been observed throwing grey water out the door of their camper, using (or at least trying to use) facilities that are not “fit for purpose” eg rubbish bins that are over flowing, dump stations that are blocked or otherwise malfunctioning, as well as generally just dumping rubbish . That is “NOT” Responsible Freedom Camping. RCAi at all times promotes the use of facilities that are “fit for purpose”. RCAi has discovered in one organizations travel directory alone, a total of over 170 camping sites which are restricted to Campers meeting the requirements of NZ;5465 but which have facilities suitable for non self contained campers, (eg ones with no board facilities at all). Most of these sites were identified as being in the Auckland area. 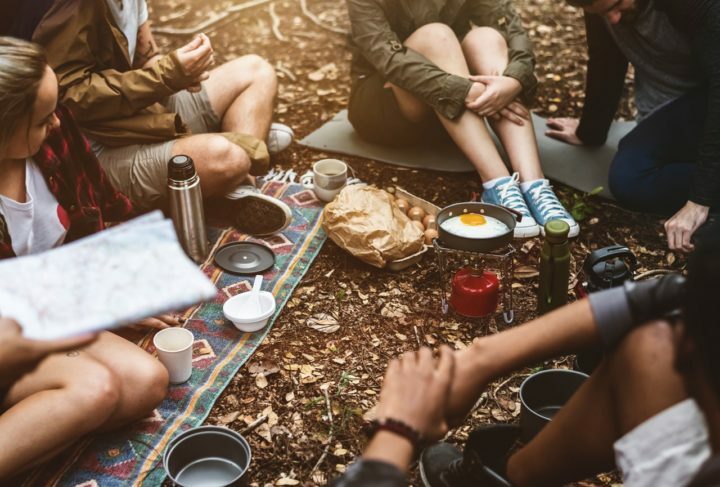 The Freedom Camping Act allows for justified restrictions to be imposed by Councils etc where determined to be necessary, it can hardly be the case when suitable facilities are available for non certified campers. 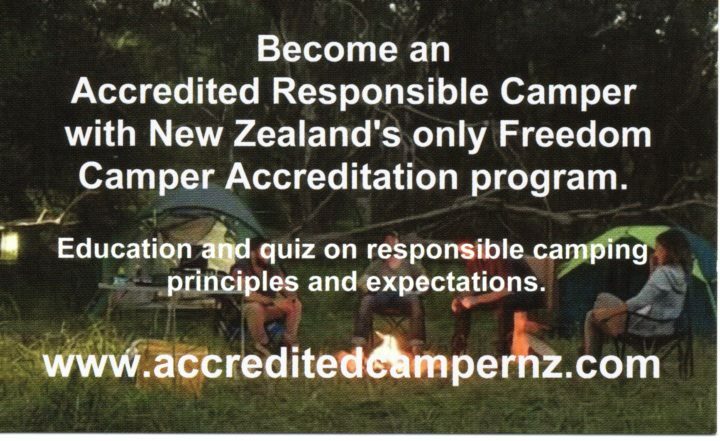 While RCAi believes all Responsible Freedom Campers should and can be self contained, it is not just in a democratic society, to be limiting these sites to Campers meeting the requirements of NZS;5465 only. RCAi believes that facilities at camp sites for campers compliant with NZS;5465 should be limited to rubbish bins or nothing at all. 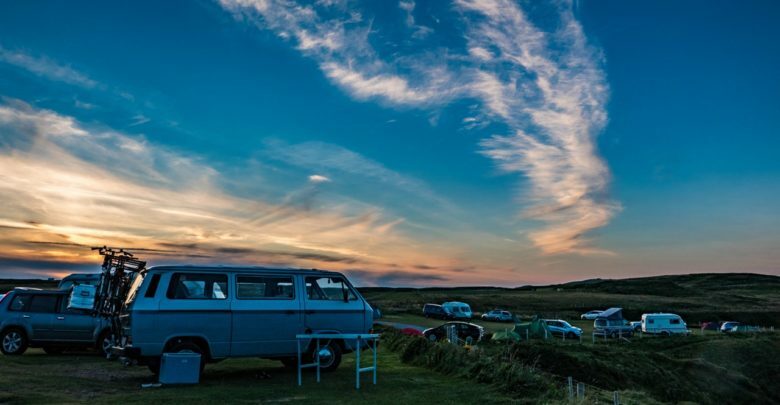 While all campers as defined by the Freedom Camping Act 2011 can and should be self contained, only Motorhomes & Caravans can be certified as such. 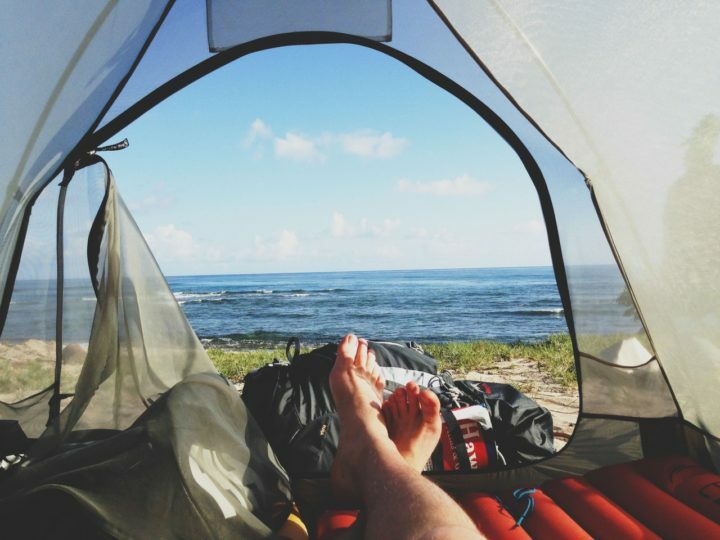 Traditionally camping by kiwi’s has been done using tents etc, which need to be preserved so all kiwi’s regardless of budget can enjoy our great outdoors responsibly even if that is just spending a night at a local beach. RCAi believes all campers should therefore be given the right to use all freedom camping sites in a responsible manner and there should be NO discrimination based on the mode of camping. It could be argued that essentially any local or regional authority, Government department and other entities using NZS;5465 and the allowances in the Freedom Camping Act to ban or restrict Responsible Freedom Camping currently causes significant discrimination towards Responsible New Zealand and international visitors camping in said areas. These restrictions can also impact other recreational users including people who spend nights photographing the stars, who often appear to be camping but are not; the often overzealous enforcement activity is less concerned with actually understanding why a person is there, for reasons other than camping and is more interested in enforcing the various camping bylaws even if said person is not breaching any bylaws. As has recently been acknowledged there is no education with NZS;5465. Anyone can get a certificate of compliance but receives no education as part of that certification, about how to be a Responsible Freedom Camper. It is education which is the greatest need, not certification of the “mode” of camping. RCAi has designed and launched an education program to accredit Campers as to being Responsible. Click on the link provided on the home page to access this program. There has been much discussion about locals ability to spend a night at the local beach. This effects all types of people,eg Surfers waiting for early morning surf breaks, fisherperson’s waiting for tide changes – snoozing in their cars, as well as many like divers who may go in 4×4’s to isolated coast areas and spend a night prior to going diving the next day. It is impractical and unjustified, to expect these people to meet the requirements of NZS;5465 and be self sufficient for a period of 3 days when its only for 1 night. Our Accreditation program solves this as an issue by taking the emphasis of the mode of camping and placing it on the people camping. We also have an issue where people who own pets may travel some distance to see family etc, who have vans to sleep in, which they do not need self containment as they do not cook in their vans but use them solely as a place to sleep. These persons often sleep in the vans due to inability to take pets to Motels and/or other accommodation providers. Often even Family in rented houses are prohibited from having pets (especially dogs) there. Again these people need to be considered. Their are many people with Medical conditions that may often need to lay down and rest while on a Journey. RCAi know of people who need to lay down for 20 -30 minutes every hour when driving due to issues with pain etc, these people can also often be seen to be in breach of Councils Freedom camping bylaws, many also elect to travel at night when there are less likely to be disruptions to traffic. 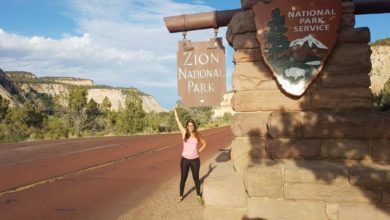 The New Zealand Bill of Rights Act gives kiwi’s a right to travel – how the NZS;5465 impacts that has been largely untested but recent Council and Government Department Communications have raised it as a significant issue with no real legal Judgments available. It is the opinion of RCAi that those campers which identify as Self Contained but are not Certified as such, to be far more responsible than Campers who get Certified simply to meet some club rule or to stay in some set area. These people are self contained solely to protect our environment, even if that self containment is not to the requirements of NZS;5465 but to the needs of themselves as Responsible Campers! We generally have a problem where rules and regulations are constantly being implemented for the sole purpose of controlling what is in essence a very very small number of irresponsible campers, while undemocraticlly punishing others! As previously mentioned RCAi approached Councils to identify issues with Freedom camping in their areas. Many of the below listed problems were raised by them so RCAi sought to find some simple solutions to these problems, these solutions are labeled under the Responsible Camper accreditation the RCAi has been working on as compared to the current use of certified self containment for camping sites. RCA, by the people doing the camping with respect to both their mode of camping and their own personal requirements. CSC, based on the mode of Camping but is only relative to Motorhomes and Caravans as the only modes able to be “certified”as self contained. RCA, By window cards and (later) stickers valid 24 months only, with changes in appearance being catered for yearly to give an immediate visual confirmation as to validity. Stickers required to be removed once expired. By design stickers have a short life span. CSC, By window card and optional sticker valid for 4 years and does not change visually. No requirement to ever remove sticker which has a long life span. RCA, All Accreditation cards and supporting stickers issued by Responsible Campers Association, are Copyright to Responsible Campers Association therefore allowing legal action against people copying them. CSC, No supporting evidence material is copyright, allowing anybody and everybody to reproduce, sell and otherwise distribute them as they wish with no legal recourse. RCA, promoted in an unbiased manner by an organisation representing all campers as defined by the Freedom Camping Act;2011(FCA). CSC, By caravan and motorhome type camping clubs for the major benefit of their own members. Such clubs combined still only represent a minority of campers as defined by the FCA. Such clubs lobby in a manner that is more favourable towards Motorhome & Caravan owners. RCAi, has now become an Incorporated Society to develop, promote, support and be the authority of the RCA programme now and well into the future. Its written in our Constitution! RCAi, Period valid- 2 years, allowing for easy visual confirmation of compliance with yearly border colour changes. CSC, Period valid-4 years, with no visual changes allowed for at any time, therefore failing to provide a quick visual confirmation as to validity. RCAi, after the fore-mentioned education programme there is a questionnaire to be answered. Passing this test provides for a Accreditation Card to be issued to that person. CSC, Nil on persons camping – only mode of camping. RCAi, Issue of a “Responsible Campers Accreditation Card” and later also an “Accredited Responsible Camper” bumper sticker to the person. CSC, Issue of window card and sticker based on mode of camping. RCAi, the ability to prevent offenders from gaining a accreditation card for a period of up to 5 years depending on the seriousness of the offending. CSC, Largely unknown, no evidence that anyone has been convicted or otherwise penalized for breaches of NZS;5465 standard. 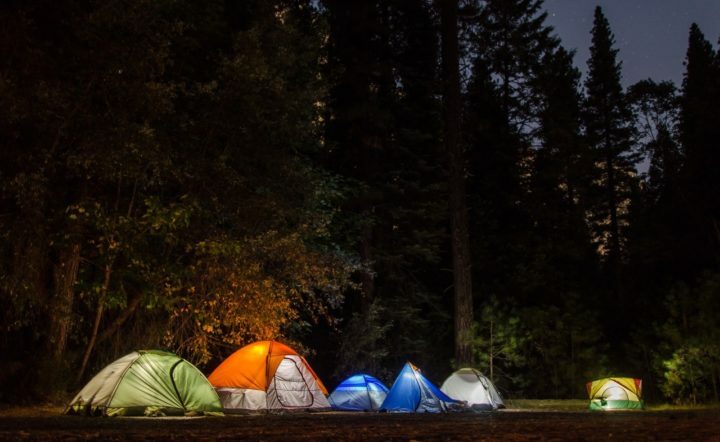 RCAi, The persons camping are to assess their own requirements, in so doing having consideration for their mode of camping as well as their own personal camping needs. Education of this is included in the RCA Accreditation programme. CSC, Governed by a NZS;5465 which has no assessment of the persons camping but only the mode of camping (only covers Motorhomes & Caravans), nor of campers personal requirements. RCAi, anticipated at $20 biannually for the foreseeable future. CSC, runs into thousands of dollars meeting the NZS;5465:2001 with stuff you may never use or may not suit your freedom camping requirements and is only available for a minority of Freedom Campers as defined by the Freedom Camping Act 2011. RCAi, runs as a non profit group with any money paid being used to promote and fund the scheme. Tax exempt status has been applied for through IRD. CSC, used as a money making exercise for clubs, businesses etc that promote it. RCAi, all of the above for “all’ campers as defined by the Freedom Camping Act. Promotion will see more and more Councils etc recognizing the advantages of a programme that puts the onus on the people and providing both education and an assessment of that knowledge. CSC, difficult to determine – a certificate based on the mode of camping, with no education can only be of very minimal advantage. HOWEVER, it is a widely known scheme even if its benefits are of doubtful benefit. It is known some council’s use CSC as nothing else has been available UNTIL NOW. We do hope you take our Accreditation Program and pass with flying colours. We also are very keen to receive any feedback on the program and ways it could be improved.